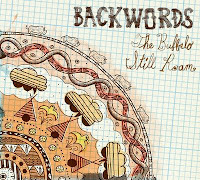 Backwords second album The Buffalo Still Roam sounds a bit like what you'd get if Daniel Johnston had recorded with The Beach Boys and being a fan of both, I love it! Full of a lovely whacky charm with raw but somehow gentle sounds of unpolished Americana, this album is exactly what I needed to be listening to right now. Really great job guys! Here are the American tour dates they have up on their MySpace page right now, please come to London soon!! 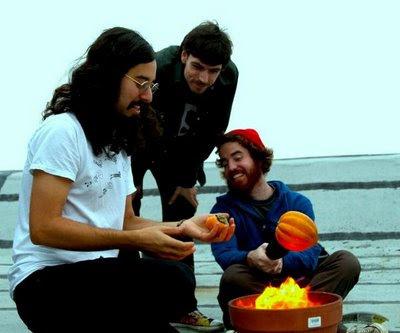 These guys are really good, they almost seem like I'd hear them playing on the beach, and they almost remind me of Fleet Foxes. I guess it's just the feel their music gives me, thanks for the post!